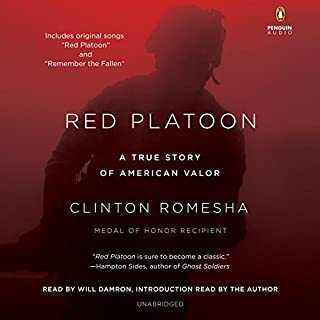 In 2009 Clinton Romesha of Red Platoon and the rest of the Black Knight Troop were preparing to shut down Command Outpost Keating, the most remote and inaccessible in a string of bases built by the US military in Nuristan and Kunar in the hope of preventing Taliban insurgents from moving freely back and forth between Afghanistan and Pakistan. 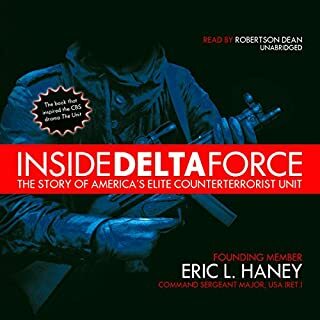 Three years after Keating's construction, the army was finally ready to concede what the men on the ground had known immediately: It was simply too isolated and too dangerous to defend. Completely thrilling. I could not stop listening. 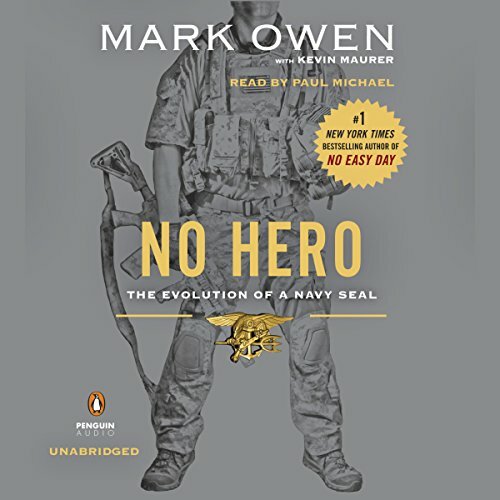 While Mark Owen's instant New York Times best-seller No Easy Day focused on the high-profile targets and headline-grabbing chapters of the author's career, No Hero will be an account of the most personally meaningful missions from Owen's 13 years as a SEAL, including the moments in which he learned the most about himself and his teammates, in both success and failure. 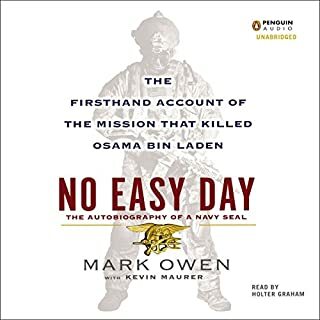 Every bit as action-packed as No Easy Day, and featuring stories from the training ground to the battlefield, No Hero offers listeners an unparalleled close-up view of the experiences and values that make Mark Owen and the men he served with capable of executing the missions we read about in the headlines. 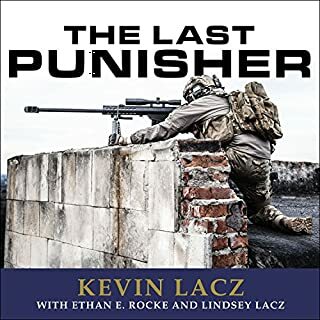 Would you try another book from Mark Owen and Kevin Maurer and/or Paul Michael? I pre-ordered this book months ago and had been eagerly anticipating it's arrival ever since. Needless to say, my expectations were high. 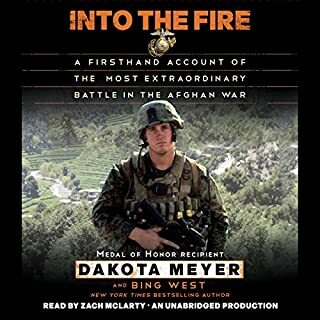 I was ultimately disappointed because, in my opinion, No Hero lacked depth and emotion. 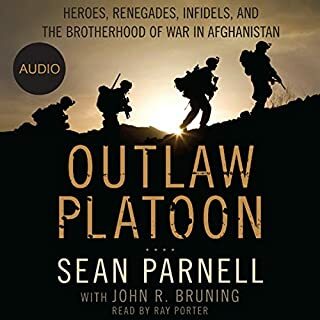 While listening and writing this review I tried not to compare Owen's two books to one another. 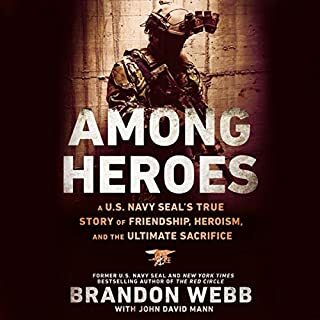 In fact, No Hero is similar in content to The Mission, the Men, and Me: Lessons from a Former Delta Force Commander although not as good. This in no way diminishes my admiration for Mark Owen for the things he has accomplished and I will continue to look for coverage about his journey in the news and online. Would you be willing to try another book from Mark Owen and Kevin Maurer ? Why or why not? Owen's first book is my all time favorite and I for that I will continue to buy every book he ever writes. What about Paul Michael’s performance did you like? He had a fine performance but the content wasn't there. His voice and consistency deserves another listen. 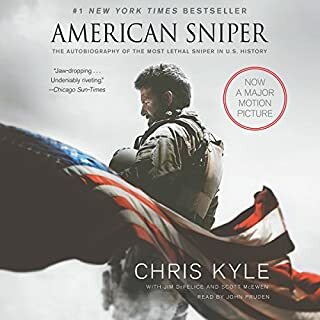 Do you think No Hero needs a follow-up book? Why or why not? YES, but there needs to be more! 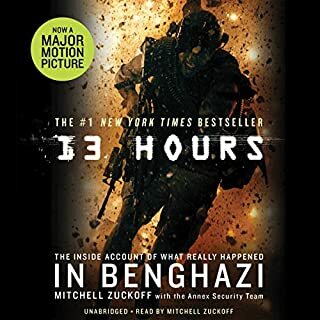 As I was listening to this book I found myself wondering much how the Government editorial process affected his writing. It seemed like a watered down version of what he was trying to say. 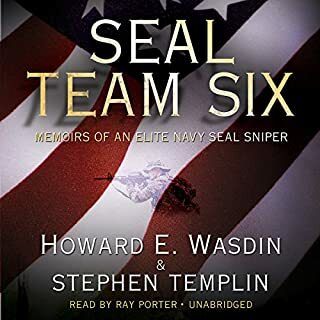 A good read, but not as good as the last. 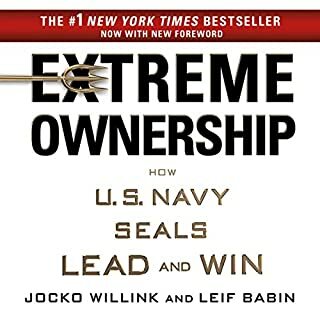 Some great lessons learned, will be adding these ideas to my current lesson plans so all my students can share the experiences that the author has gained the hard way. 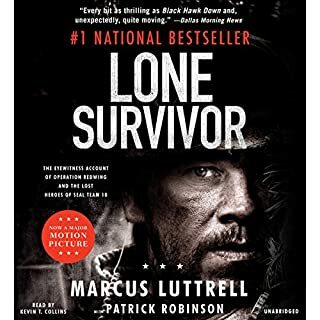 it is a great book although I would recommend that you read no easy day first! 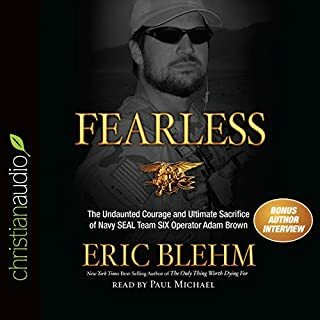 In my opinion this book is the best and most well-written book about Navy SEALs and the special operations community. I really appreciate this book for the fact of learning about more then just certain missions. 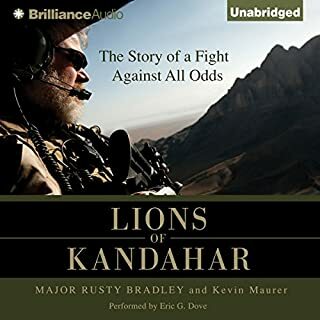 Very easy to listen to and would highly recommend this to everyone. 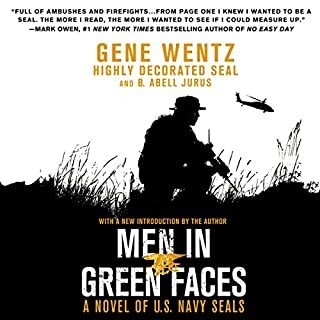 Even better than No Easy Day. 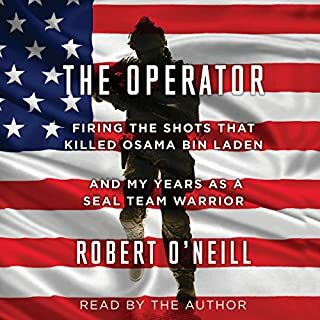 This book is well written and narrated. 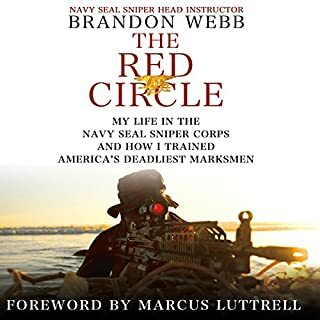 Composed of many different experiences in his career, the story flows as a continuous explanation of the authors evolution from kid in Alaska to a leader in his warrior community. Very well done. 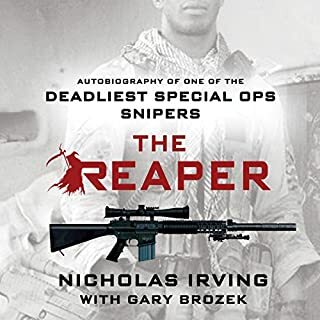 The only easy day is... "never" ..
A solid read most notable for the indelible imprint left on the reader of the immensity of the sacrifice our special warfare vets make and the oppressiveness of the Sissifian burden many will wrestle with for a lifetime.